The Rainbow Theatre show was first broadcasted by the BBC2 as part of the Old Grey Whistle Test on the 27 may 1974. 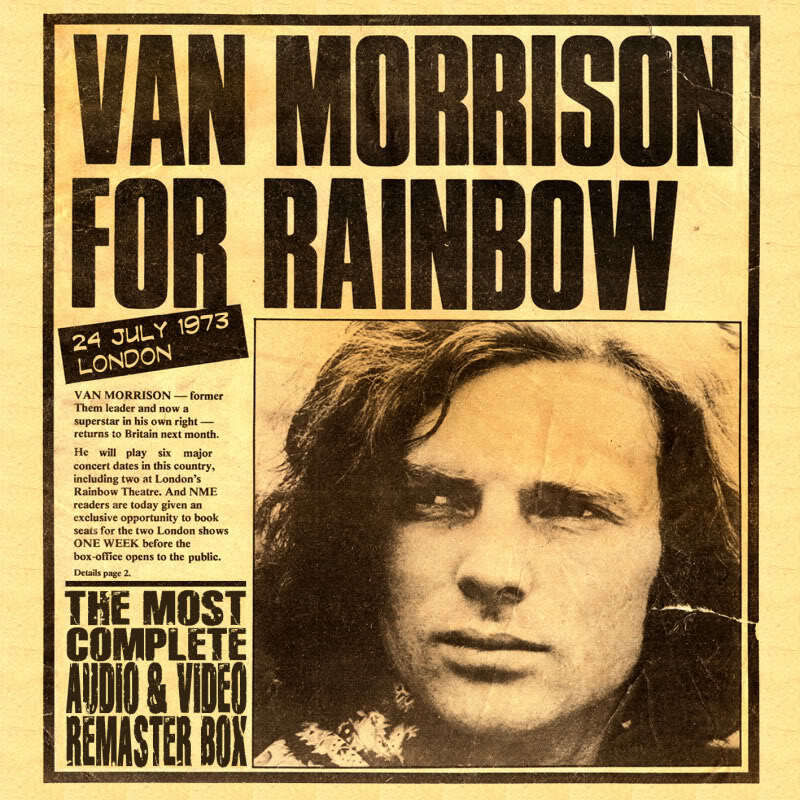 It was aired simultaneously on stereo FM radio and on mono TV. This was one of the earliest stereo radio broadcasts, and the first simultaneous TV/radio broadcast of a “rock” concert. It was repeated on the 9 Oct 1980 on BBC2 as well. ALL the previous copies that are in circulation (known as “Over The Rainbow” and “Under The Rainbow”) are from the 1980 rebroadcast. 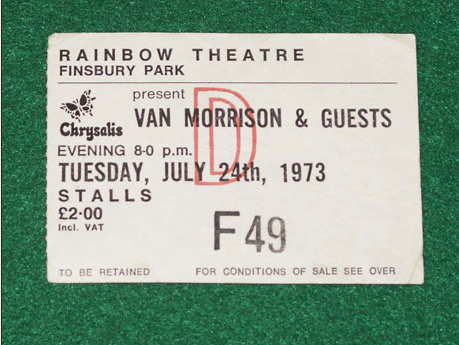 Yes, I was at The Rainbow second row in ‘73 a very special night. Van the Man was at his GLORIA best.